MIMO systems promise high performance gains over conventional single antenna systems. To accomplish high data rates over wireless links the use of multiple transmit and receive antennas is an alternative that does not require any extra bandwidth. It has the potential to address the unprecedented demand for wireless services, particularly for the Multimedia Broadcast Multicast Service (MBMS). This service supports downlink streaming and download-and-play type services to large groups of users. From the radio perspective, MBMS includes point-to-point (PtP) and point-to-multipoint (PtM) modes. 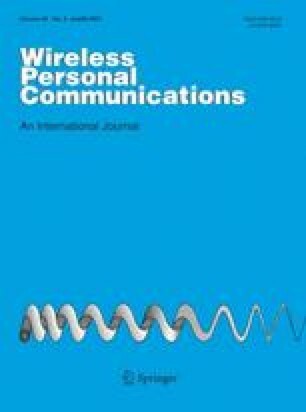 New proposed MBMS related enhancements in the physical layer specifications and their effects on resource requirements are presented in this paper, such as the use of High Speed Downlink Packet Access (HSDPA) to broadcast/multicast video streaming using the Deficit Round Robin (DRR) scheduler algorithm as a way to maintain an acceptable QoS for all the users. Other improvements, based on the use of MIMO including macro-diversity, are independent of the mode used and are dependent on deployment scenarios, but can yield substantial reduction in resource demand.